JUICES 100% fresh fruit and veggies, made to order! Apple, pineapple, cucumber, celery, lemon, kale, and mint. Apple, cucumber, celery, and lemon. Orange, apple, carrots, pineapple, cucumber, beets, and celery. Apple, carrots, pineapple, lemon, and celery. Orange, cucumber, apple, carrots, and tomato. 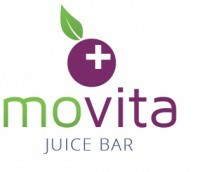 SMOOTHIES 100% fresh fruits, No fructose or artificial flavors! organic acai, strawberry, banana, granola, coconut, organic agave ORIGINAL (natural acai sorbet) or PREMIUM (mixed with peanut butter & protein) "recommended". organic acai, banana, strawberry, blue berries, granola, coconut shavings, organic agave ORIGINAL (natural acai sorbet) or PREMIUM (mixed with peanut butter and protein) "recommended". organic acai, banana, strawberry, blackberries, mango, granola, coconut shavings, organic agave ORIGINAL (natural acai sorbet) or PREMIUM (mixed with peanut butter and protein) "recommended". organic acai, kiwi, banana, pineapple, granola, coconut shavings, organic agave ORIGINAL (natural acai sorbet) or PREMIUM ( mixed with peanut butter and protein) "recommended". organic acai, mango, banana, strawberry, granola, pumpkin seeds, organic agave ORIGINAL (natural acai sorbet) or PREMIUM (mixed with peanut butter and protein) "recommended". organic acai, Banana, strawberry, granola, macadamia nuts, topped with Nutella ORIGINAL (natural acai sorbet) or PREMIUM (mixed with peanut butter and protein) "recommended". organic acai, banana, strawberries, peanut butter, protein, granola, coco, almonds, flax & chia seeds, organic agave mixed in with peanut butter and protein; rich and hearty. organic acai, banana, blue berries, almond butter, chia, hemp &flax seeds, organic agave mixed in with almond butter and protein; rich and hearty. organic acai, banana, granola, organic agave PLAIN (natural acai sorbet) or PREMIUM (mixed with peanut butter and protein) "recommended".